Why Does Choosing Their Own Groceries Matter to Your Senior? ← What Can You Do about a Senior Who Wants to Be Controlling? 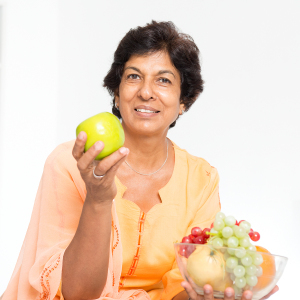 Elder Care Bartlett TN – Why Does Choosing Their Own Groceries Matter to Your Senior? Going grocery shopping is likely something you barely put much thought into as an important part of your daily life. When you do think about it, it is probably in terms of how you are going to fit it into your schedule, what items you need to make sure you are going to purchase, or your budget. What you likely don’t think about is the importance of this activity as part of your independence or quality of life. As a family caregiver, though, it is important to realize that this simple errand could have a much more significant impact on your aging parent. For an elderly adult who struggles with challenges that keep them from going to the grocery store on their own, or if you are accustomed to just taking on this errand as one of your own, not having the opportunity to select their own groceries can negatively impact their quality of life. * Expression of independence and autonomy, which protects mental and emotional health, as well as self-worth. Preserving dignity for an elderly adult is a vital part of protecting quality of life throughout their later years. * Stimulation of cognition and memory by encouraging your parent to keep track of the food they need, items for recipes they want to make, and favorite foods so they can keep their kitchen stocked. * Feeling like they have more control over their life, which can support their sense of motivation and empowerment to handle other aspects of their life, such as their physical health needs. * Selecting foods that they enjoy can make your parent more likely to eat a healthy, balanced diet, and to cook their own meals rather than relying on convenience meals that aren’t as healthy for them. Starting elder care for your aging parent can be one of the best decisions you can make as a family caregiver. When you bring an elder care services provider into your care routine for your senior, you aren’t trying to “get out of” caring for them or ignoring their needs. Instead, you are ensuring they get exactly the care and support they need, when they need it. While remaining a central part of their care, you are helping your parent to maintain your independence and enjoy greater control over their life. This not only promotes a higher quality of life for them, it eases your stress and supports better health and well-being throughout your care experience. This entry was posted in Elder Care Bartlett TN, Personal Care Tips and tagged Elder Care Bartlett TN. Bookmark the permalink.